There have been reports that people running the remote desktop program TeamViewer on their computer(s) have had random people accessing their accounts and sending themselves money via PayPal or buying things online. TeamViewer denies they were hacked. Meanwhile, the TeamViewer subreddit is exploding with threads about people getting hacked. This post will walk you through on how you can secure your computers. Stick with TeamViewer but harden its security. If you want to do step #1, I recommend you uninstall TeamViewer and not just close it (as it typically runs as a service in the background and would probably still be running). If you want to do step #2, Chrome Remote Desktop is free and offered by Google. If you want to do step #3, continue reading. Personally, I’ve completely uninstalled TeamViewer from all of my machines. I’ll check out alternatives if I really need to remotely access my computers in the future. There are several reports of people having their computers taken over via TeamViewer even though they had a strong password and two-factor authentication enabled. It’s not yet clear what the issue here is, weak passwords or a vulnerability/exploit with TeamViewer, but it’s not worth keeping TeamViewer on my computers (for now). The following steps take only minutes to do but they will greatly increase your security by disabling easily bruteforceable spontaneous access as well as ensure only your account can access your devices. You must perform the following steps on all devices that are running TeamViewer. The above steps are useless if you have a weak password. Once you’ve changed your password, this is optional but I highly recommend you enable two-factor authentication. For two-factor authentication, you will need to install an app on your phone and scan a QR code that TeamViewer provides you. 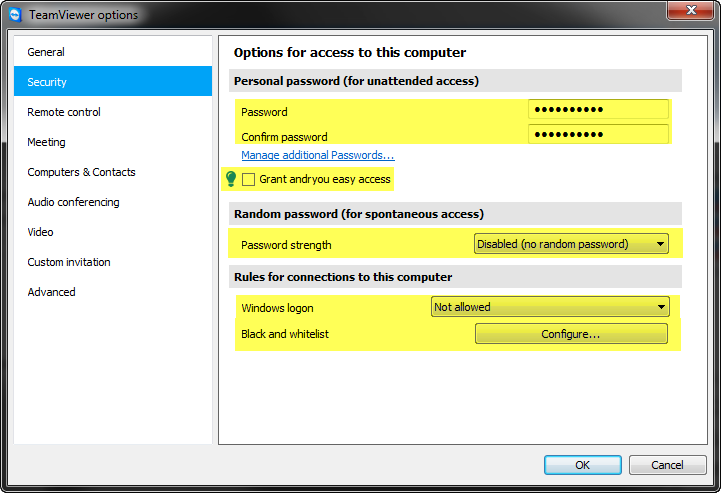 Click on Activate beside Two factor authentication. 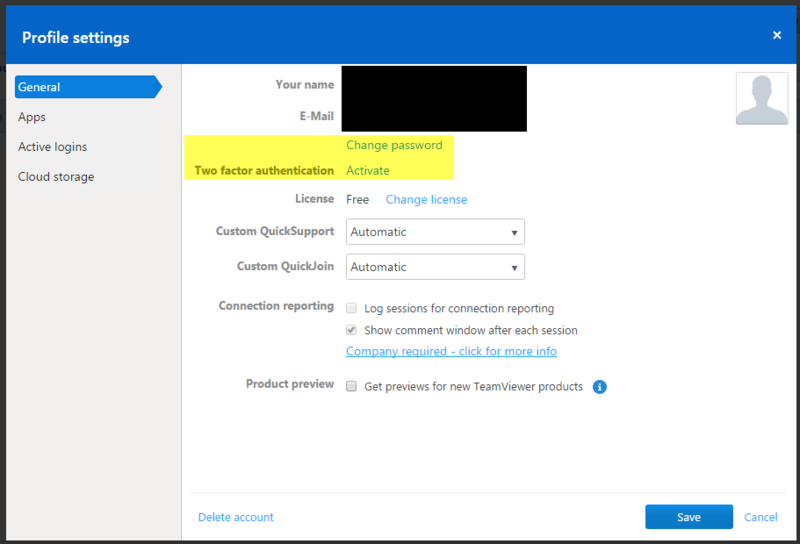 Enter it, and two-factor authentication will be enabled for your TeamViewer account. Get into the habit of locking your computer when you step away or are not using it. It’s as easy to do as pressing the Windows Key + L for PCs, and Control + Shift + Eject/Power for Macs.